A snow plow crash killed an Easton man this week. Police are currently investigating. As we battled snow and cold, there were two fatal snow plow accidents this week, including one death here in Massachusetts. In Easton, a snow plow hit and killed a 64-year-old man who was changing a tire on Route 138. 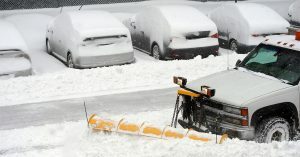 Meanwhile, in Illinois, another man was snow blowing his driveway when a plow truck backed into him. Both men were pronounced dead on the scene. These were not the only snow plow accidents, either. In Johnson County, Kansas, a snowplow driver veered off the road and died in a single-car crash. In New York, a state DOT snow plow and vehicle collided in the Town of Aurelius in Cayuga County. Traffic was stopped as two people were airlifted for medical treatment.